Alex Danin (August 31, 1919-October 31, 2015) was born in New York City and designed primarily for hospital clients, although he also did residential and recreational architecture as well. Serving in World War II, he was a staff architect for several military bases across the globe. Back in the U.S, he attended Cooper Union, New York University, and Pratt Institute, graduating from Pratt in 1948. Almost immediately after in 1949, he won a prize for his design of a memorial stadium on Staten Island, although it was never constructed . 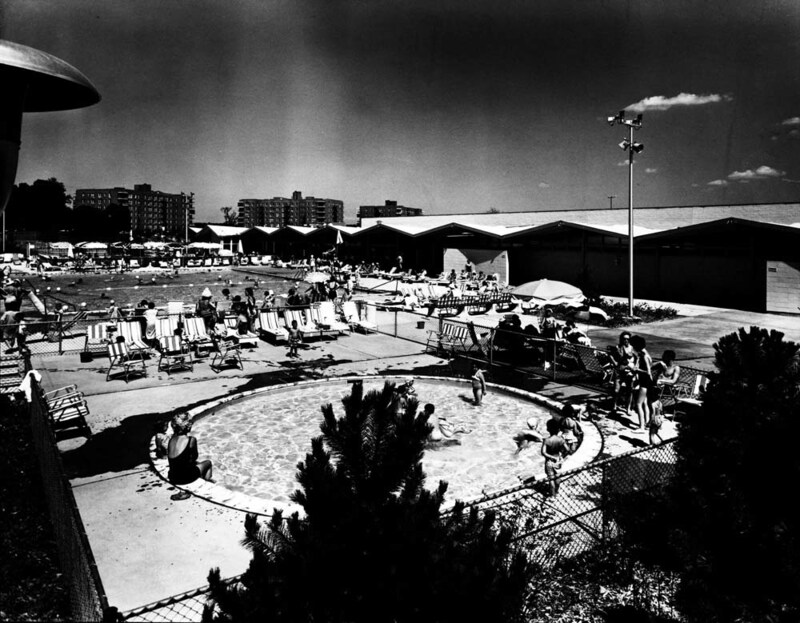 His most unique completed project was the Belle Bay Country Club, a small recreational facility located in the northern section of Bayside, Queens, known as Bay Terrace. 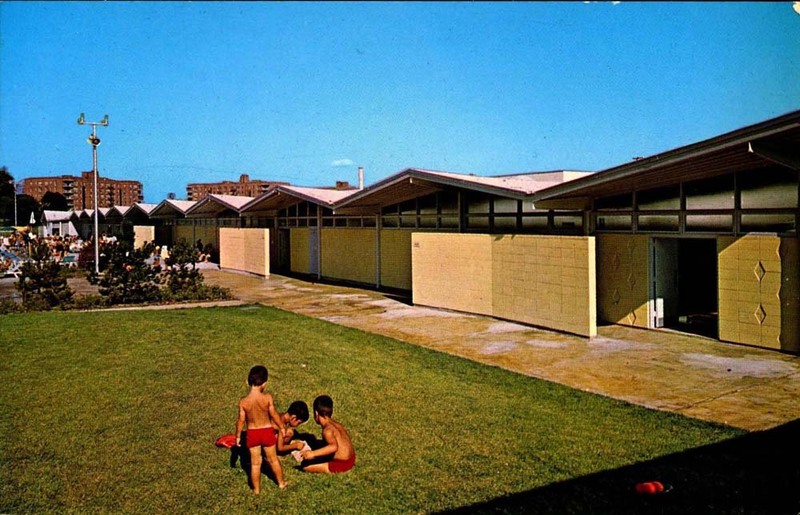 The club, which still exists, features a long cabana-style pavilion with an undulating metal roof. The building received a Queens Chamber of Commerce Award in 1962. He also completed much of the adjacent apartment development in Bay Terrace, all for the N. K. Winston-Holzer Organization. Other significant hospital work includes the Norman Winston House, an apartment building for doctors at Memorial Sloan‐Kettering Cancer Center; a doctors and nurses residence in Glen Cove, Long Island; and a staff residence at St. Vincent’s Medical Center on Staten Island. 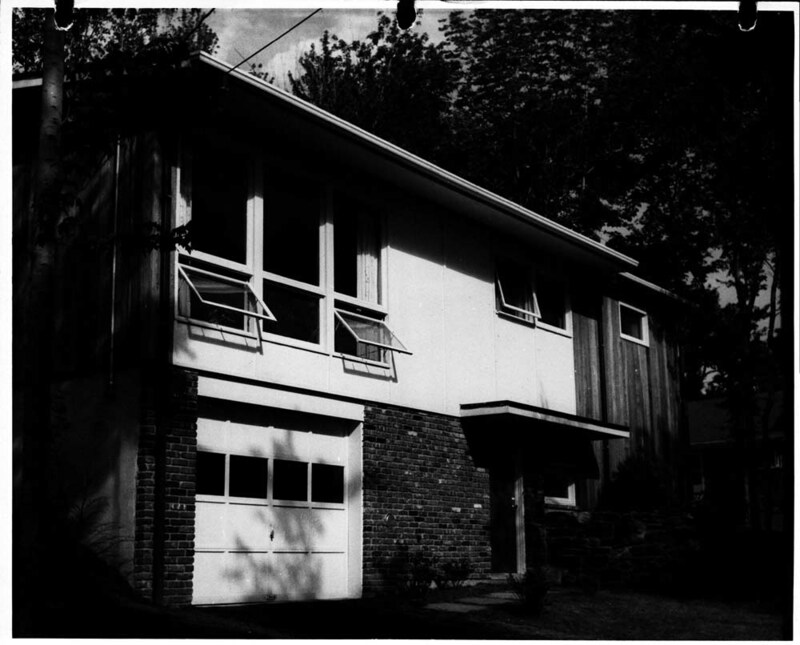 Mayor Robert Wagner spoke at the dedication of the Norman Winston House in 1964 . According to his daughter, he was also responsible for an innovative parking guard system, the Dan-in, as well as several other patents. In 1984 he applied for emeritus status and retired from active practice . Alex Danin AIA Architect resume. Undated. Collection of the author. “Memorial Hospital Dedicates New Unit”. The New York Times. 11 June 1964. Danin, Barbara. Email interview with author. 5 December 2016.